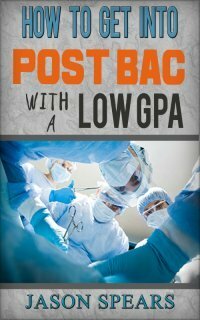 If you're like most premed students you definitely want to know the average MCAT score. The numbers matter a lot. And I'm sure you want to get several points above to guarantee your acceptance. Averages are good but they’ll keep you mediocre. I would suggest you focus on more than the mean MCAT score. The average total MCAT score of everyone who applies to medical school is 501.8. The key phrase, “everyone who applies”. This doesn't tell you if students got into medical school or not. When you look at the numbers for those who apply and matriculate (get into) medical school they have an average MCAT score of 508.7. That’s a difference of 6.9 points on your total MCAT score. Let’s put these numbers into perspective before getting too far ahead. Your total MCAT score can range from a low of 472 to a high of 528. These individual MCAT sections have a score range of 118 to 132. Your total MCAT score is calculated by adding each of your four sectional scores together. To be a competitive applicant for medical school ideally you want your average MCAT score on each of these sections to be above the midpoint of 125. Remember midpoint scores only make you competitive where it's best to strive for the highest score possible. It would be bad if the AdCom said you just need an average MCAT score of X because they were basing the information on what worked for the previous incoming class and then you find out the competition is much stiffer and now you need a score of Y which is much higher than X. But this is the cost of admission to get into medical school. AdComs expect to only admit the best and brightest students. Especially when it’s so competitive nowadays where over 60% of first time applicants to medical school are REJECTED! Ouch! If you apply to medical school with a MCAT score over 30 and a 3.5 GPA or better there is no reason why you shouldn't get into at least one medical school. The updated version of this would be having a MCAT score above 508 and a 3.5 GPA or better. Now that those basics are out the way let’s get into the nitty gritty of scores for each section of the MCAT. 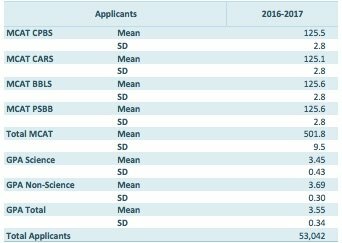 I hate to be numbers bound but when computers screen applicants based on minimum cutoffs then you need to be aware of how your MCAT score can affect your chances of getting into medical school. The numbers are extremely important to your medical school application. Everything else in your application will not matter if you do not have the numbers. AdComs will never know about your personal statement, your extracurriculars or all the promise you have for a career in medicine because the computer will toss your application before a human every lays eyes on it. With that scared straight tactic out the way let’s take a look at the averages. Of everyone who applied they had an average score of 125.5 with a standard deviation (SD) of 2.8. Don’t worry I won’t get at mathematical on you and use statistics that will be the farthest I go. You can keep your scientific calculators closed. This is in comparison to the average MCAT score of those who matriculated which was 127.1 and 2.2 SD. Not a huge difference but a difference of 1.6 points in the Chemical and Physical Section. You can apply with a score of 125.1 and 2.8 SD but to get admitted to medical school you’ll need a score of 126.7 and 2.4 SD. This is a difference of 1.6 points between those who applied versus those who were admitted. You need to practice from CARS style passages and more importantly CARS questions. CARS seems to be where students struggle the most on the MCAT... How would you like to learn about the Lawyer's Way for preparing for this section of the MCAT? More numbers for your to get all bent out of shape over. For the BBLS expect everyone who applies to have an average MCAT score of 125.6 and SD of 2.8. The ones who get into medical school will have a score of 127.4 and SD of 2.2. This means those in the Biological and Biochemical sections will have a difference of 1.8 points. This section of the MCAT is new so not a lot of history here but since it factors into your overall MCAT score you’ll certainly want to give this section the consideration it is due. A quick look at the data shows that everyone who applied had a score of 125.6 and SD of 2.8. Then for those medical school applicants who matriculated they had a score of 127.4 with a SD of 2.3. 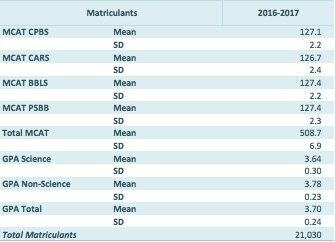 The overall difference between applicants and matriculants on the Psychological and Social section comes in at 1.8 points. I think it’s clear that you’re going to need high MCAT scores to get into medical school. Overall I showed you that those who get into medical school actually perform 6.9 points higher than everyone who applies. When it comes to getting into medical school you cannot fall for the rumors or the misguided information that others will tell you. One myth that really bugs me and I believe is doing you a huge disservice are the medical students who say they got into medical school with a subpar MCAT score. Most of the time there are extenuating circumstances or they are a unique case but I wouldn’t bet my medical career on an AdCom offering me a spot if my numbers are not competitive. 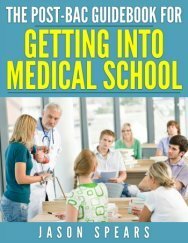 As I mentioned, 60% of first time applicants to medical school are rejected and most schools use computers to screen your application based on the minimum MCAT score they will seriously consider. MCAT prep not going as planned? Trust me when I say I feel your pain with preparing for the MCAT. Even with a commercial MCAT prep course under my belt my scores just weren't competitive for medical school and I thought I was doomed. It seemed no matter how many problems I did that my scores wouldn't budge or in some cases they got worse. Something had to change or I would never get into medical school and all those dreams of being called Doctor would die. Here's what I discovered about how to actually overcome the MCAT.